The New Zealand leader’s promise of tightened gun laws in the wake of the Christchurch mosque shootings has been widely welcomed by a stunned population. Prime Minister Jacinda Ardern said her cabinet will consider the details of the changes on Monday. She has said options include a ban on private ownership of semi-automatic rifles that were used with devastating effect in Christchurch and a government-funded buyback of newly outlawed guns. In New Zealand, there are more than 1.2 million firearms among the population of five million, according to a 2017 survey. Under New Zealand law, anyone 16 or older may seek a firearms licence, and anyone 18 or older who has applied for a firearms licence can seek a permit to possess a semi-automatic. All gun owners must obtain a licence, but individual weapons in the country don’t have to be registered. In Australia, a virtual ban on private ownership of semi-automatic rifles and a government-funded gun buyback cut the size of the country’s civilian arsenal by almost a third. The ban followed a 1996 massacre in which a lone gunman used assault rifles to kill 35 people in Tasmania state in 1996. Roberts, the gun owner, doubted banning certain types of weapons would be effective. But he said New Zealand should only allow its own citizens to buy guns. Brenton Harrison Tarrant, the Australian charged in the Christchurch shootings, obtained a New Zealand gun licence in November 2017 and started legally amassing an arsenal of five guns within a month. “I think when people harbour hate like that, these things are possible,” Roberts said. “Particularly Australian citizens, I don’t understand how they can get access to firearms in New Zealand when New Zealand citizens can’t get access to firearms in Australia,” he added. Ian Britton uses a rifle for shooting rabbits and target shooting. He favours outlawing assault rifles like those used in Christchurch because they’re unnecessary. “I can’t use the words I’d like to use, but it’s disgusting. I never thought I’d see that in this country,” Britton said. Ardern noted that attempts to reform had failed before under pressure from the gun lobby. “There have been attempts to change our laws in 2005, 2012 and after an inquiry in 2017. Now is the time for change,” she said. New Zealand was represented at a meeting of Australian state officials on May 10, 1996, two weeks after the Tasmanian massacre, where it was agreed that semi-automatic long arms would be banned except for use by licensed professional shooters. New Zealand was the only one of nine jurisdictions at the meeting to reject the deal. 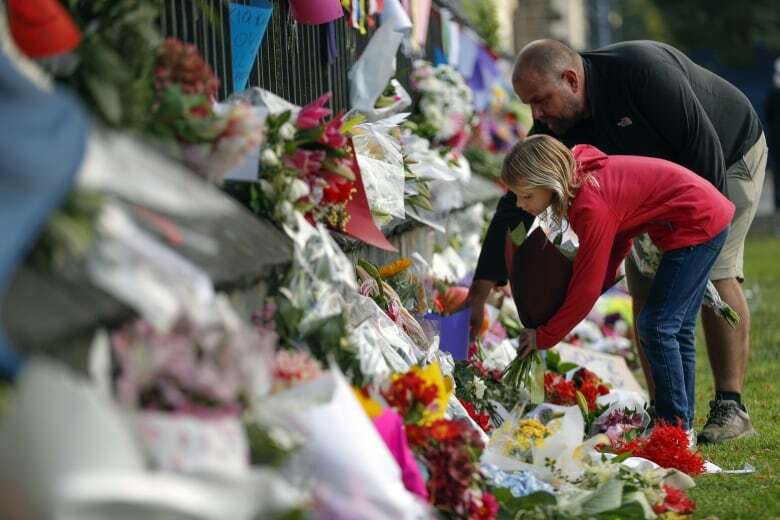 Philip Alpers, a Sydney University gun policy analyst, said New Zealand had rejected the most important reform among a raft of gun restrictions that halved Australia’s gun death rate. If New Zealand “hadn’t been the exception on that day and done what Australia did, this wouldn’t have happened,” Alpers said, referring to the massacre.